Nasa’s ICESat-2 spacecraft arrives at the Astrotech Space Operations facility at Vandenberg Air Force Base in California ahead of its scheduled launch on 15 September 2018. Credit: US Air Force/Vanessa Valentine. Nasa is set to launch its Ice, Cloud and land Elevation Satellite-2 (ICESat-2) missions on 15 September from Vandenberg Air Force Base in California, US. ICESat-2 is designed to measure the average annual changes in the height of land ice covering Greenland and Antarctica by capturing 60,000 measurements every second. It will extend and improve Nasa’s first ICESat mission, which was launched in 2003 to monitor change in polar ice height. The mission will also extend Nasa’s Operation IceBridge programme, an airborne research campaign launched in 2009 to keep track of the increasing rate of change in polar ice heights. 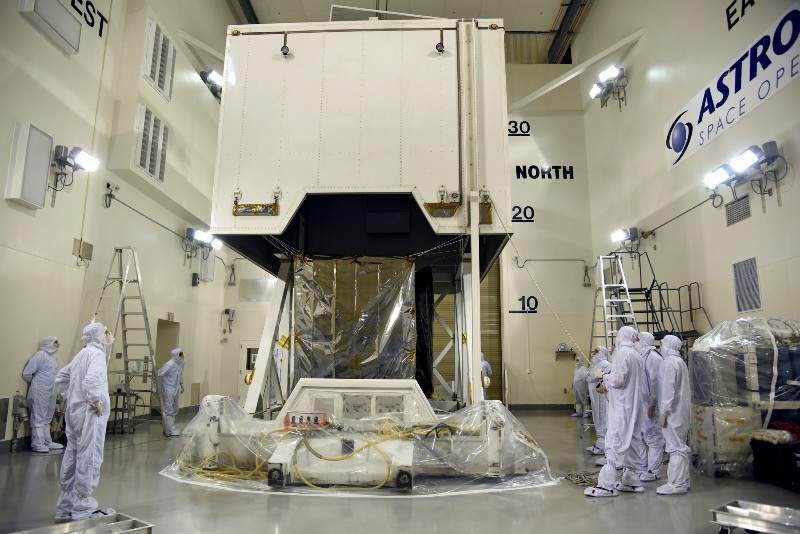 ICESat-2 will be equipped with the Advanced Topographic Laser Altimeter System (ATLAS) instrument that measures the height of polar ice by calculating the time it takes for individual light photons to travel from the spacecraft to Earth and back. ATLAS will be able to fire 10,000 times each second to send hundreds of trillions of photons to the ground in six beams of green light. The roundtrip of each laser photons from ICESat-2 to Earth’s surface and back is timed to the billionth of a second to precisely measure the heights of polar ice. During its course of movement from the Earth’s one pole to another, ICESat-2 will measure the height of ice along the same path in the polar regions four times a year, providing seasonal and annual monitoring of ice elevation changes. The mission will also be capable of measuring the height of ocean and land surfaces, including forests. Base in California.